When Mahatma Gandhi quoted the above words, he was referring to three aspects of cleanliness to obtain God’s blessing; a clean body, a clean mind and a clean surrounding. Though, people adopt the clean body aspect of it, but neglect the other two important aspects. Thanks to our Prime Minister’s Swachh Bharat Abhiyaan; people seem to be pretty much aware and charged up to clean the surroundings. But still there is one more aspect of cleanliness that needs to be taken care of; that is Cleanliness of mind! What is a Clean Mind? A clean mind means a positive mind which is free from any kind of negativities. It is difficult to define the word “negativity” in general; as it depends on the perception of an individual. So, how to define negativity? Let’s read out the below points, which will help you to define the word “Negativity” according to your point of view. Saying “NO” does not mean negativity. It is all about the end result. If you think, saying “NO” to a particular deed will generate an output which is meant of greater benefit; you should go ahead with that. But if you are saying no; just because you did not like a particular thing or the person who is saying it; well you might need to check your thoughts again. Supporting a leader, a star, a sports person is definitely good but when you start abusing or spreading negativity about the competitor of your idol; you are going down. An age old phrase might help you to understand what I am saying; “Follow the personality; not the person”. Negativity does not mean harming anyone! No one might be harmed of your negative thoughts but definitely something called “the virtue” that resides inside you; is killed when you allow a negative thought to grow in your mind. Some might argue that, telling a hard truth which is negative in nature, does not count as spreading negativity. For me, it is a negative one. As everyone knows, the meaning of half filled glass and half empty glass are same; but the way you say it makes the difference. I hope, our news agencies believe in this philosophy and start to spread the news accordingly. This is not an inclusive list and you can add your own parameters in defining the word “Negativity”. Infoledge Solution Pvt. 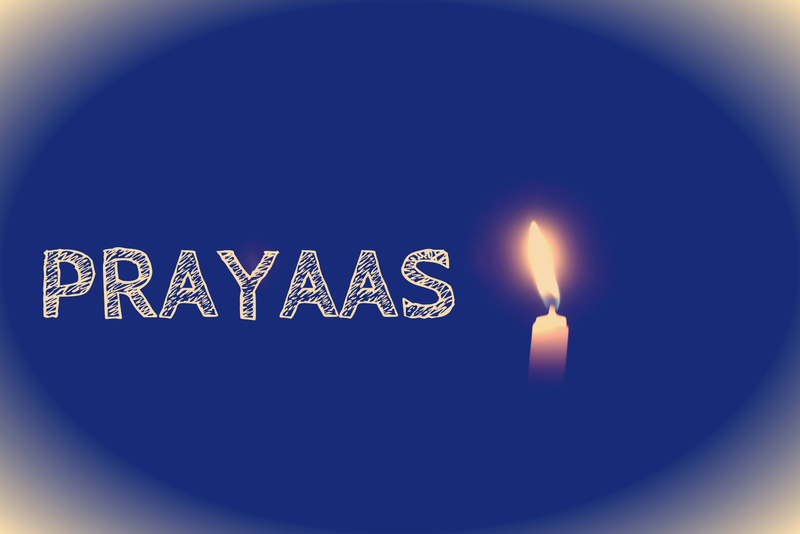 Ltd. has started a small initiative called “Prayaas”. The intention behind this initiative is to spread positive vibes as far as possible. So, how to do it? Control your mind for 24 hours. Make sure that, no negative thoughts even put their shadows on your mind! It is not an easy thing to do but definitely it is not impossible. In case, during this 24-hour phrase, a negative thought enters in your mind; identify the same and start your timer again for the next 24-hours. In short, it might take couple of days to complete your 24-hour free of negativity challenge! Don’t lose your heart and keep trying. Once you win over your mind for 24-hours; share your story on social media platforms (Facebook or Twitter) and nominate at least five of your friends to face this challenge. When you share your story of positive mind, make sure to tag the person who nominated you. Also keep a track on your friends to whom you have nominated for the task. Keep the chain going and spread the positivism. Though, the challenge is only for 24-hours; you are more than welcome to win over your mind over multiple days, weeks or months. Prayaas, which literally means “TRY”, is a step towards positive India. Come join your hands to make this a successful Prayaas. PS: Special Thanks To Miss. Rashmita for editing this article.